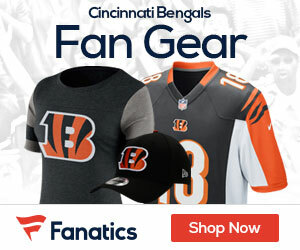 Bengals Official Site Says Team Still Talking to T.J. Even as wide receiver T.J. Houshmandzadeh and his wife and children visited the Seahawks on Friday on what one Seattle media observer called “a chamber of commerce day,” it’s believed the Bengals are still negotiating in a bid to retain their third all-time leading receiver. The contract to keep an eye on may be the one Houshmandzadeh mentioned last week in Indianapolis, the $8 million per year inked by Cowboys wide receiver Roy Williams. Seahawk observers say the club hasn’t indicated where they are on how much they’ll pay Houshmandzadeh. There was a report on Thursday that said that T.J. was close to coming back to the Bengals. Of course it could also be posturing to try and get more money on the market from Seattle or elsewhere. Stay Tuned.